The evolution of the human race has changed the way in which we settled on the territory throughout the centuries. Architecture has shaped as the intermediary element between the territory and the human being. This has significantly differentiated us from the rest of the living beings. 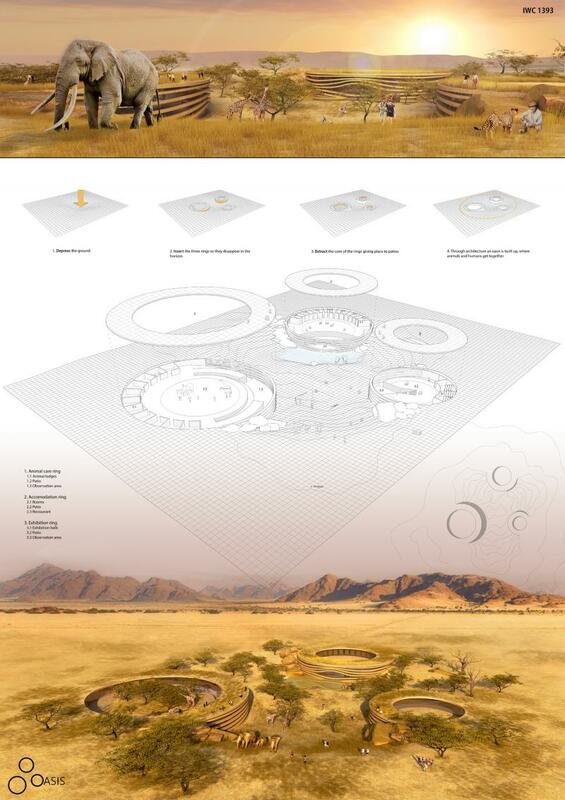 For this project, the main objections centered around the idea of creating an architecture which were to be blended into the landscape by integrating the lives of animals and the human beings. Architecture tries to not deny the development it has reached with the purpose of satisfying the human being. However, in this case, the challenge of disguising with nature comes on top. Oasis is the place where humans, architecture, animals and nature converge.